The story begins in 1991, as classically trained Greg Saunier, directly after graduating from conservatory, moves to San Francisco and joins goth/metal band Nitre Pit as drummer. When the two guitarists of this short-lived project depart suddenly, Saunier and bassist Rob Fisk find themselves with several booked shows and no idea what to do. Out of necessity they quickly concoct an elastic, hyper-expressive style that makes up for their stark instrumentation, and Deerhoof is born. Though seen by few, Deerhoof, and in particular the convulsive drumming of Saunier, soon develop a reputation in Bay Area musicians' circles as some of the wildest and weirdest music in the underground. But ironically their most pivotal early experience would occur in the very heart of "love rock" territory, at the 1995 Yo Yo A Go Go Festival in Olympia, WA, in front of an audience instantly polarized by Deerhoof's jarring ferocity. Among them is Kill Rock Stars founder Slim Moon, who, sensing something special, signs Deerhoof immediately. The duo has no budget whatsoever, but Saunier has been busy teaching himself how to record, and Fisk has been busy making drawings of magical forest creatures. KRS's do-it-yourself ethic turns out to be a perfect match for Deerhoof, and they release their first 7" Return of the Wood M'Lady. By the time the single is released, Saunier and Fisk are already feeling the first waves of creative restlessness that would characterize Deerhoof's career. They've lost their rehearsal space and are practicing in their kitchen, Saunier hitting the drums with chopsticks, Fisk plucking the bass with a cow hoof that doubles as his dog's chew toy. They need a singer, as their instrumental acrobatics preclude any ability to bring off the more melodic vocal ideas they are tentatively trying to bring into their sound. Through a mutual friend they meet Satomi Matsuzaki, who has just arrived in SF from Tokyo. She has no musical experience whatsoever, but remarks dryly that she couldn't possibly make Deerhoof any worse, and is on tour with the band within a week. By the time they release their first album The Man, the King, the Girl in 1997, a vast stylistic difference from the first single is apparent. Atop the raw, swirling, seemingly improvisatory noise, Matsuzaki's calm, angelic voice brings a disarming humor and a bizarre tension that would be a Deerhoof hallmark to the present day. The first inklings of pop songwriting ability are starting to be heard. Matsuzaki teaches herself to play the bass, and the band tours the US several times over the next few years, leaving audiences intrigued but confused - Deerhoof is too "pop" for "noise", and too "noise" for "pop". The next two albums, Holdypaws and Halfbird, reveal an increasing compositional sophistication, as well as a more subtle and layered orchestration that belies their modest DIY recording method. Yet sales are low, band and label are losing money, and Deerhoof seems destined for obscurity. Few can have foreseen what happens next. In 1999 Fisk quits. Necessity once again forces Deerhoof to a crossroads, but not to be deterred, Saunier and Matsuzaki find an unexpected replacement in self-taught guitar virtuoso John Dieterich and essentially start the band over from scratch. They spend two years crafting a new approach to writing, playing, and recording. The result is Reveille, and to the surprise of naysayers, Deerhoof starts to garner some serious critical attention. By the end of 2002, many a best-of tabulator has taken note of Deerhoof's newfound confidence, a fierceness borne of desperation; many a jaded indie rocker has succumbed to the sweetness of Matsuzaki's voice and indelible hooks. Though deep down this is very much the same band, the Deerhoofian musical style that had up till now seemed merely quirky now begins to reveal itself as heroic, even prophetic. In deference to the magnitude and density of Reveille's songs, Deerhoof adds friend Chris Cohen to the lineup before going on the first of many international tours that over next few years that will establish their esteemed reputation as a live act, featuring a formerly-shy, now-commanding Matsuzaki and the virtuosic, near-telepathic interplay of Saunier, Dieterich and Cohen. Deerhoof releases self-produced albums Apple O' and Milk Man in surprisingly rapid succession. Each is honored with more attention, airplay, and sales than the previous. The band, ever modest and tirelessly traversing the country in a rental car, is gratified to be discovering an audience as adventurous as they. As the press struggles to catch up with the mercurial trajectory of this seemingly "new" group, many attempts at classification and comparison are made. But with Deerhoof's penchant for breaking new and previously unrecognized taboos with each release, their outrageous musical vision consistently turns out to be wider than anticipated, and the labels don't stick. Fans are delighted. 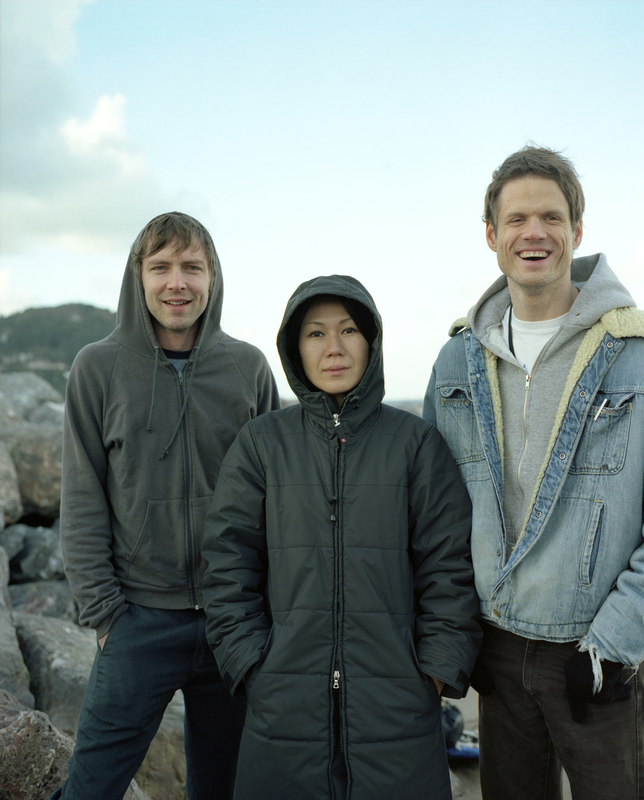 Their next album would be their most ambitious, and would go further than any other at both establishing Deerhoof within the mainstream, and being taken seriously as musical innovators and trendsetters. 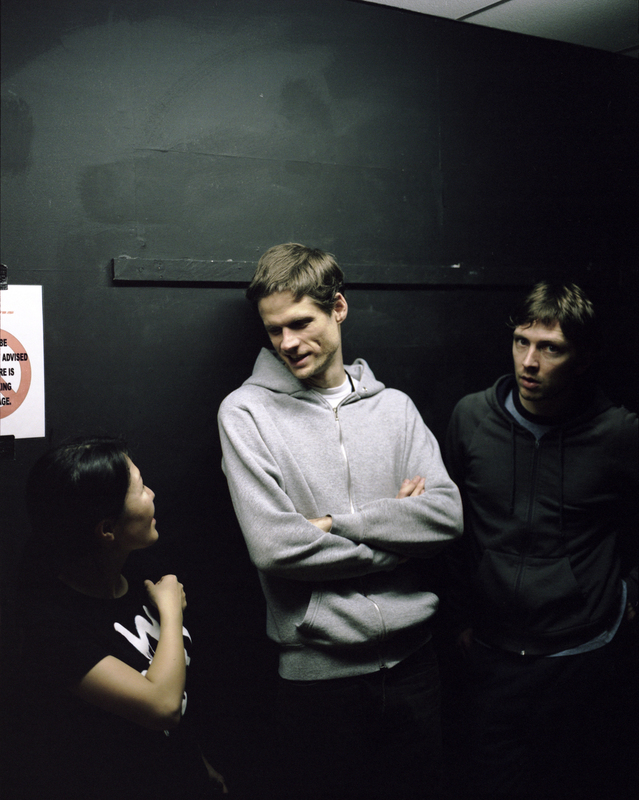 With the release in 2005 of The Runners Four, Deerhoof is widely recognized as the unique treasure that their early supporters always knew they were. As if to underline this point, Deerhoof's music old and new is featured prominently in Dedication, the directorial debut of actor Justin Theroux, due out in 2007 and starring Billy Crudup and Mandy Moore. And in another surreal twist their album Milk Man is performed as an elementary school ballet at the North Haven Community School in Maine in late October 2006. Popping up all over 2006 music news like a breath of fresh air, Deerhoof headlines the best-attended New York free concert of the summer, and becomes Danielson's backing band on the much celebrated Ships. Saunier's production work appears on Xiu Xiu's acclaimed album The Air Force, and meanwhile they are handpicked for two of 2006's most coveted summer tours, with The Flaming Lips and Radiohead.